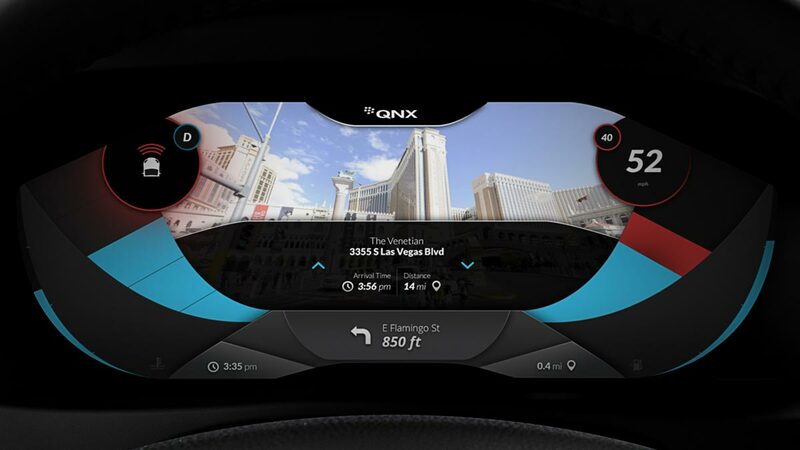 Any time soon we'll find ourselves inside the burgeoning environment of connected objects, smart devices, and cutting-edge infotainment systems. The triumph of the Internet of Everything proves approaching as we celebrate those unexpectedly hybrid business tandems that launch one by one, each promising to deliver one-of-a-kind solutions able to revolutionize "the way we used to do things around here (and there)". At the end of the day, what really changes the IoT game is not leaning over backwards to deliver awesome contraptions, but bringing innovation into the environment of objects we can't do without in everyday life. Take vehicles, for instance. What's on the radar of the automotive industry and how does the "all-smart and connected" fever affect the way this segment evolves? Well, come along and dwell with us on major challenges and fast-paced progress of connected cars. As compared to the smart home devices market (that isn't in fact obliged to be that smart, yet recently reported to grow up to $58.68 billion by 2020), the automotive industry is just compelled to meet those increasingly complex mobility and connectivity requirements. What does it take for carmakers to be at the forefront of innovation? Well, the be-all and end-all of any vehicle's quality remains safety. Does your car come up to the high security mark? The issue must be a nightmare of any carmaker, as year in year out we witness some couple of headline-making cases. 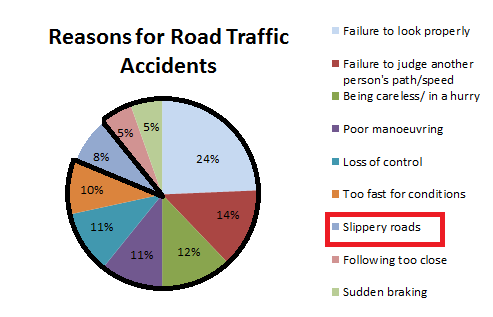 According to road accidents stats, some 80 up to 90+ per cent of vehicle crashes are caused by human error. Thus, car automation has always been considered as an obvious means to increase safety potential. For now, a lot has been done to pump lifeblood into driverless car environment. Advanced technologies keep emerging, providing brand-new car models with adapted speed, controlled steering, and automated emergency braking, along with improved lane detection or GPS systems. Moreover, the European parliament went further with its initiative to equip every new car with eCall technology from April 2018. In case of a crash, the system automatically makes an emergency call, informing the nearest ambulance of both the accident and its location. Provided that car manufacturers will soon be engaged in the mass mobility and connectivity race, seems like it's high time for them to plan ahead to keep a tight hold on the market. That's the way most forward-thinking industry players act now: seeking partnership with mobility wizards, building closer customer ties and fostering agility to cash in on revenue opportunities. The institutions like the GSMA's Connected Car Forum start forming an interactive environment for sharing expertise between the automotive and mobile business networks. In the meantime, we sit back and enjoy announcements about General Motors selecting AT&T as a mobility fellow, or Chrysler planning to connect cars partnering with Sprint Nextel. 3. Connected Cars Economy: No More Dealers? The time has come when the well-established dealership models get expired becoming inconsistent with the new realm of overall connectivity and intricate leasing rules. The old school dealers give way to tech savvy instructors having an impeccable mastery of next-gen vehicles' ins and outs. In addition to that, along with Tesla Motors' IoT-infused cars advent comes up the practice of direct-to-user sales. Even more, the electric vehicles producer (that actually gave the direct selling practice a go) reveals a strong commitment to propelling the initiative despite all the fuss around it in many states. Looks like a challenge for dealers that it's not all cashing in on carmakers' agility anymore. Despite all glowing prospects for connected cars, the challenges lying ahead are way too many for any long-range forecasting. However, the major issues concern the tech matter. First and foremost, in regards to information security. As long as researchers claim that in some 10 years the entire transportation system will be swiftly managed through the cloud, the so-called Internet of Cars overloaded with numerous apps becomes an ever greater threat to our privacy. Another clash would be the difference between the automotive and the mobile industry lifecycles. It is next to impossible for carmakers to keep up with new apps launches or operating system upgrades every other week. Lastly, a highly controversial issue is web connection itself. The solution is still a ways away, for car manufacturers insist the connection system should be built-in to ensure stronger performance stability, while mobile operators argue that a brought-in smartphone integration would be the only cost-efficient option. On a side note, who's going to cash in on providing data access and roaming? These are definitely not customers. It's much easier for a driver to just tether personal smartphone to the car via USB cable or Bluetooth and keep it at fingertips all the time. 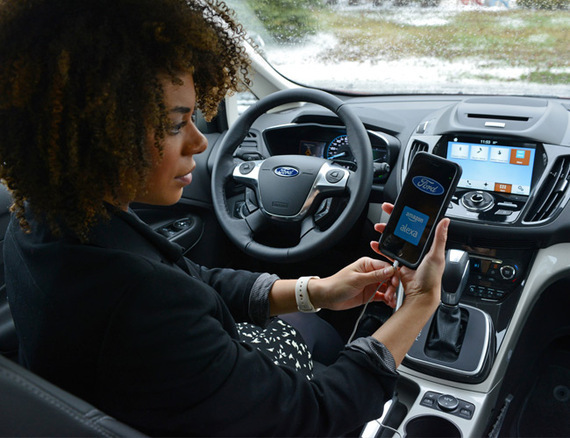 Over the next five years some sources predict an almost sevenfold increase in manufacturing cars featuring built-in mobile connectivity. In 2018, the car market will make it to 32.1 million vehicles sold to infotainment admirers. The lucky owners will have those next-gen in-car systems providing them with most recent news and weather reports, enabling social networking and music streaming on the go, always at hand. Moreover, by 2030 car or ride sharing services are going to experience a remarkable growth in popularity gaining the audience as large as 650 million people worldwide. The ties between the automotive and mobile markets seem to get closer as we witness a considerable "smartness surge". Ride-sharing services operating by an Uber-like principle, fleet management solutions, mobile valet parking services, and the like are getting in on the trend, and all we need is to keep our eyes open.